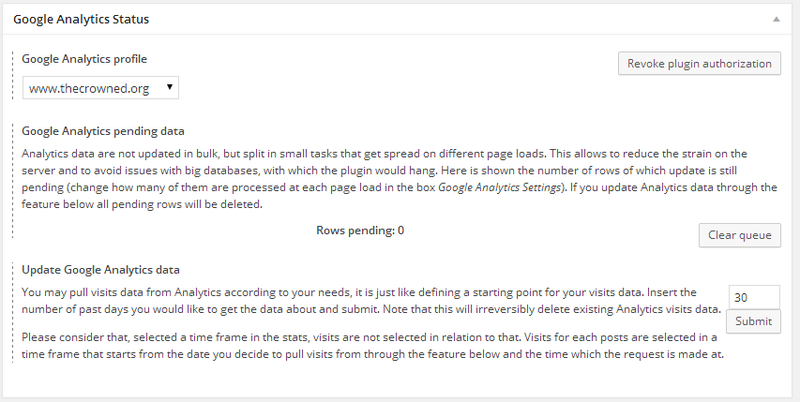 Next, head for the Google Analytics Status box. It allows to authorize the plugin to make requests to Analytics on your behalf, thus getting visits data for your site. Click on Authorize plugin to get started. 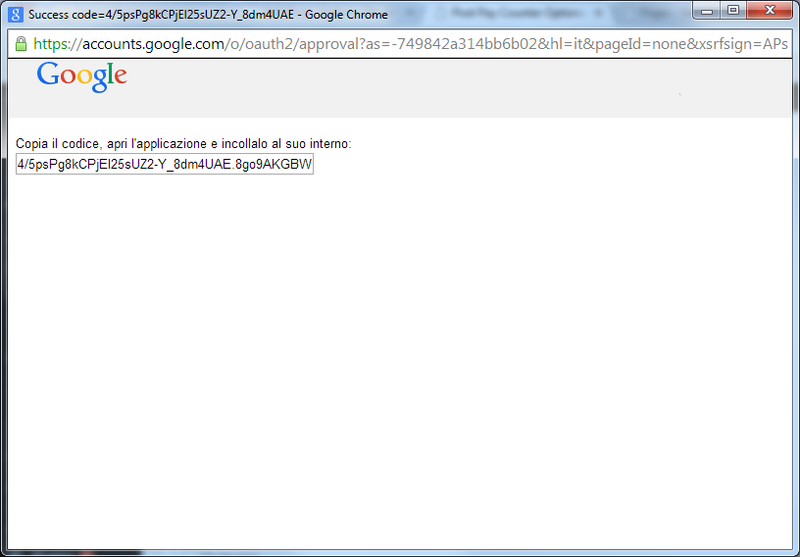 You will get a window asking you to confirm the authorization. 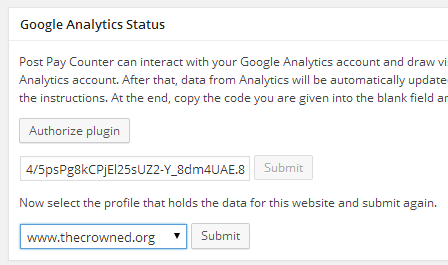 Note that the only permission the plugin asks for is to view and manage your Analytics data. Click on the blue box to go on. You will be given a weird code: copy it in the clipboard and close that window. Back in the plugin options page, paste the code in the field just below the authorization button you clicked before and click Submit. In a couple of seconds the list of your profiles will be loaded: select the one that corresponds with the site you are using and click Submit again. NOTE: if you only see All Website Data as profile choice, and can’t pick the right one, have a look at this tutorial to fix the issue! That’s it! 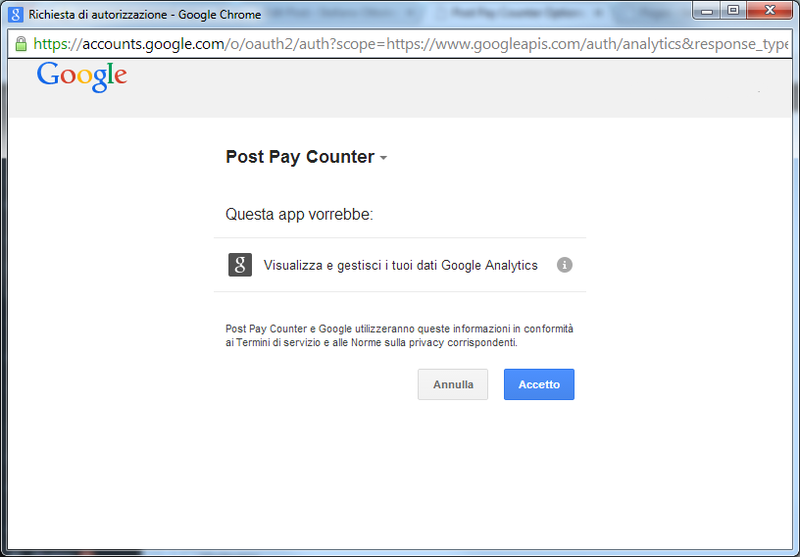 You have successfully set Analytics up to work with Post Pay Counter PRO. The page will be reloaded and a brand new Google Analytics Status box will show up. 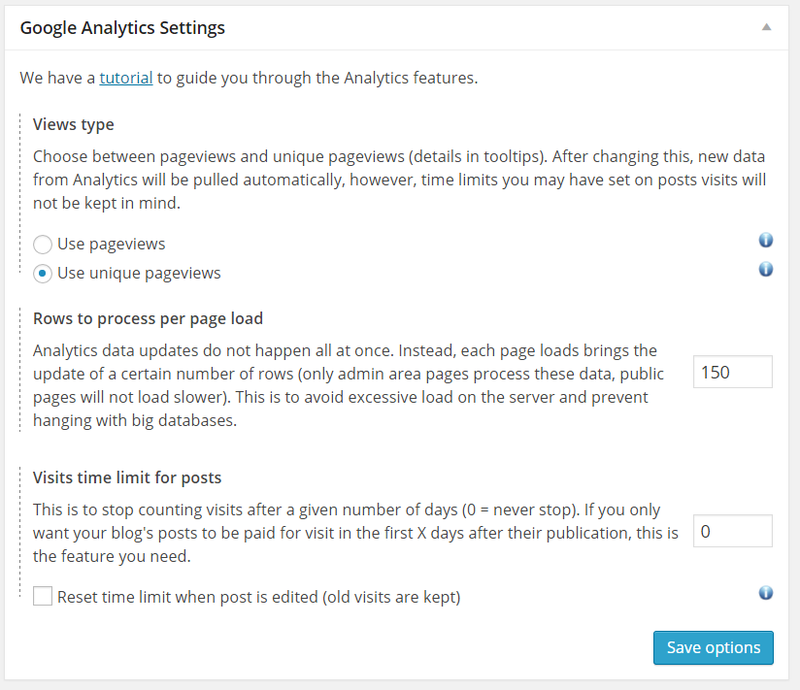 From now on, the plugin will periodically contact Analytics to get the latest visits data. You may want to get some data even for past days (optional, but useful actually! ): go to the Update Google Analytics data section, input the number of days of past visits data you would like and hit the Submit button. Every time some data is being updated, the Rows pending counter will display the number of pieces of data that still have to be updated. If, after setting up Analytics and pulling data, you still have posts showing up with 0 or a low number of views, it is likely that not all rows have been dealt with yet. Finally, you can always undo this authorization through the Revoke plugin authorization in the upper right of the box, which will delete all visits data and every trace of it in the database.